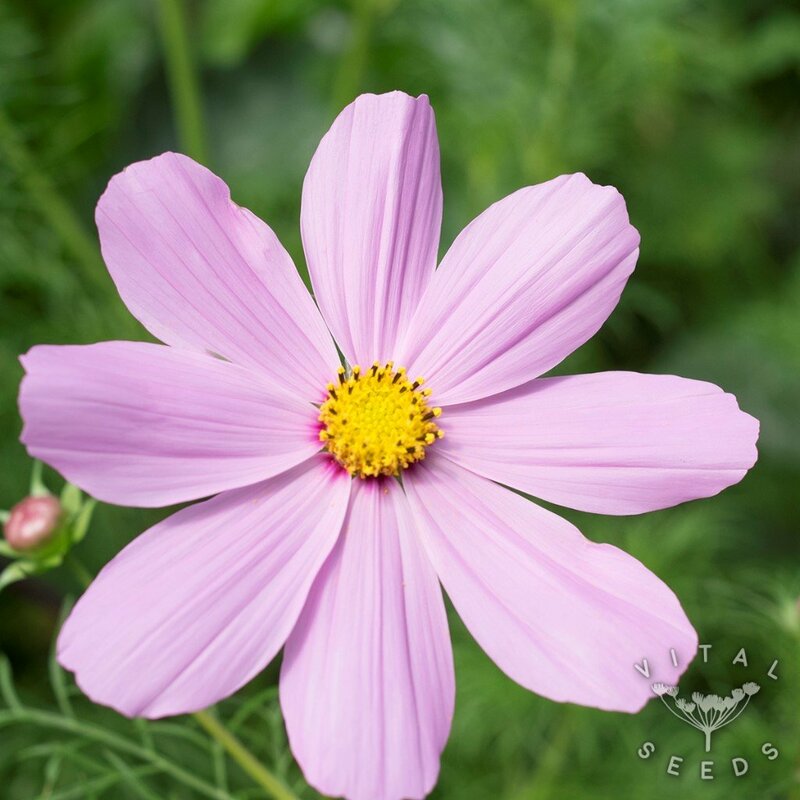 A popular, low-maintenance annual flower with white, pink and lilac petals and a yellow centre. Single, daisy-like flowers in purple, pink or white that will bloom from early summer to autumn. 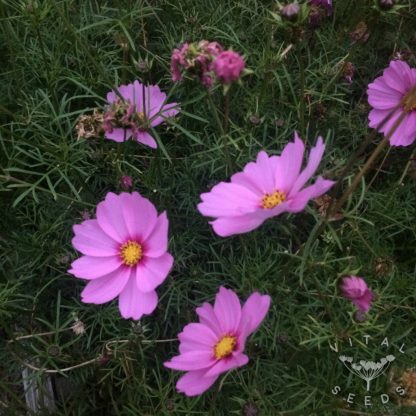 Cosmos is easy to grow, great for bees, butterflies and hover-flies, and also makes a lovely cut flower. 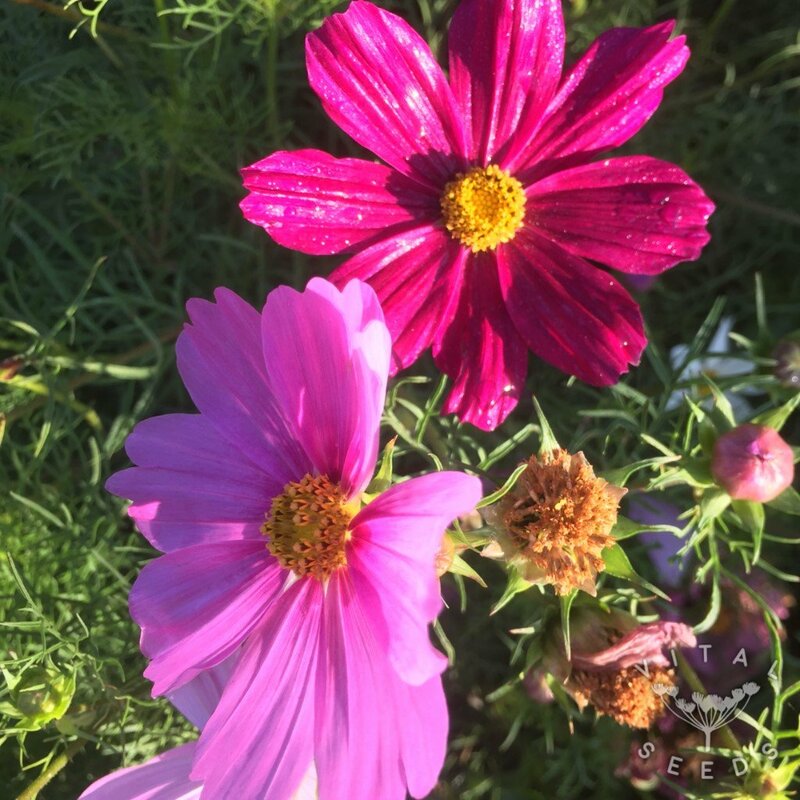 We plant it in between our varieties as ornamental dividers.